We are in good company: elsewhere in the issue are poems by Kenneth White, Derek Mahon and John Montague, as well as an essay on the recent Nobel laureate Tomas Tranströmer, and poems by contemporary French poets including Armelle Leclerq and Roger Lecomte. 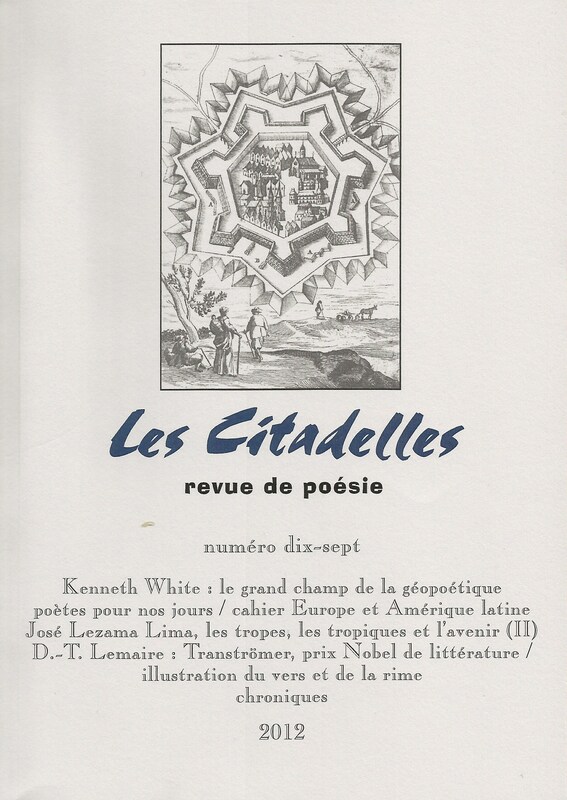 Armelle and Roger were my original connection to Les Citadelles. I met them in Bratislava in 2006, when we were all invited to read at the festival Ars Poetica. 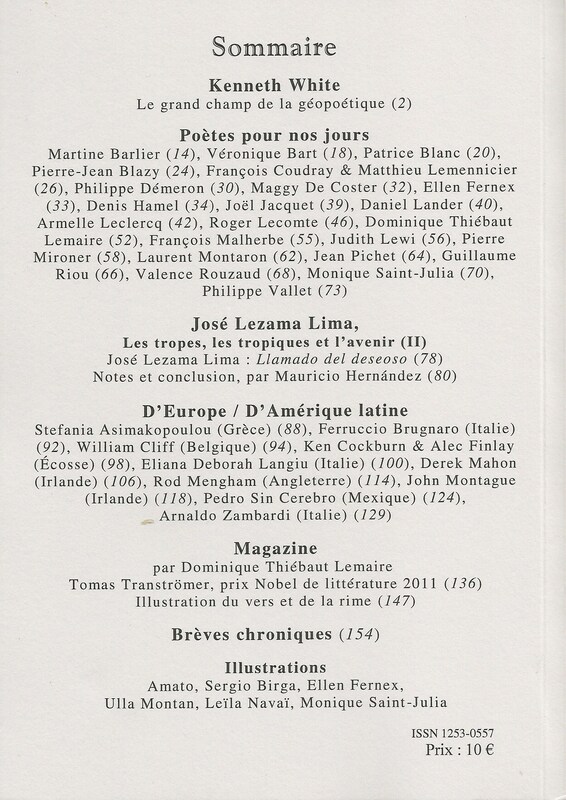 Roger is on the editorial board of Les Citadelles, and from that initial contact Philippe has translated and published several of poems in the magazine, for which I’m very grateful.